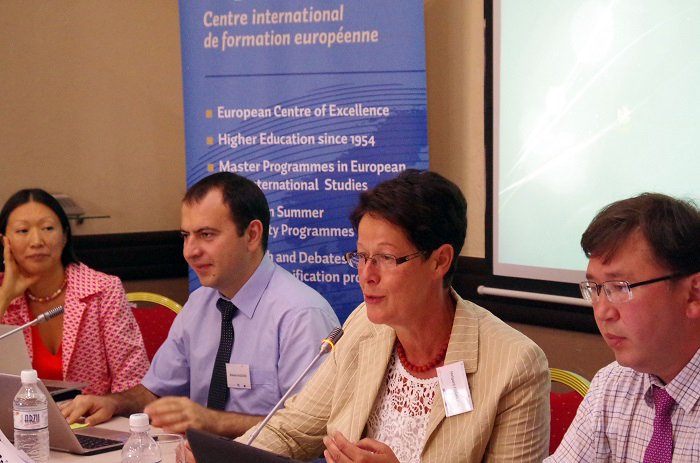 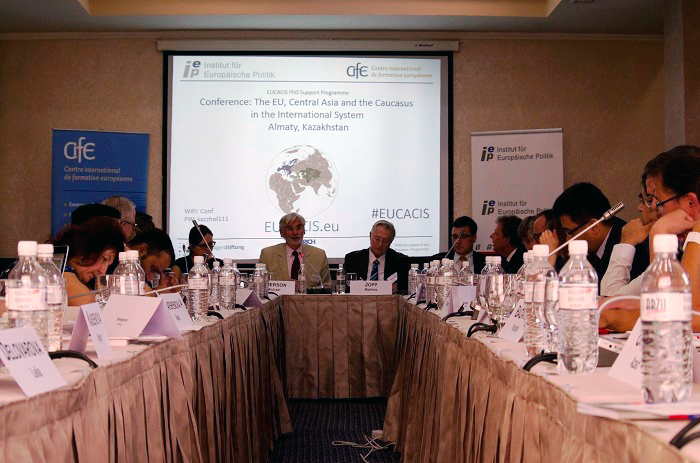 On 30 and 31 August 2016, the international conference “The EU, Central Asia and the Caucasus in the International System” (EUCACIS) took place in Almaty (Kazakhstan). 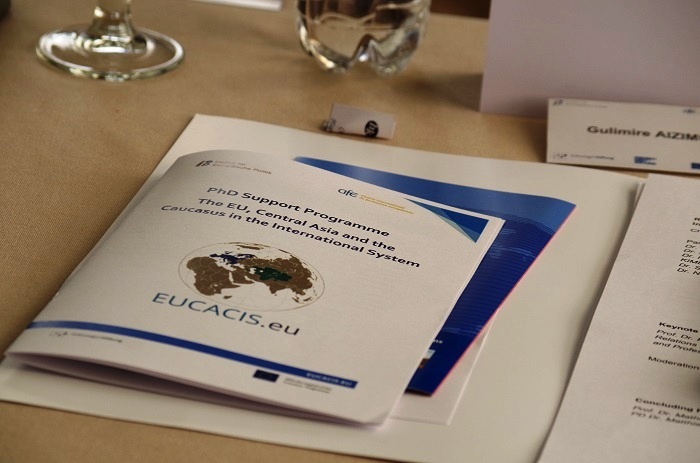 The conference served as the kick-off event for the identically named PhD Support Programme which is jointly organised by the Centre international de formation européenne (CIFE) and the IEP and funded by the Volkswagen Foundation and the Erasmus+ Programme of the European Union. 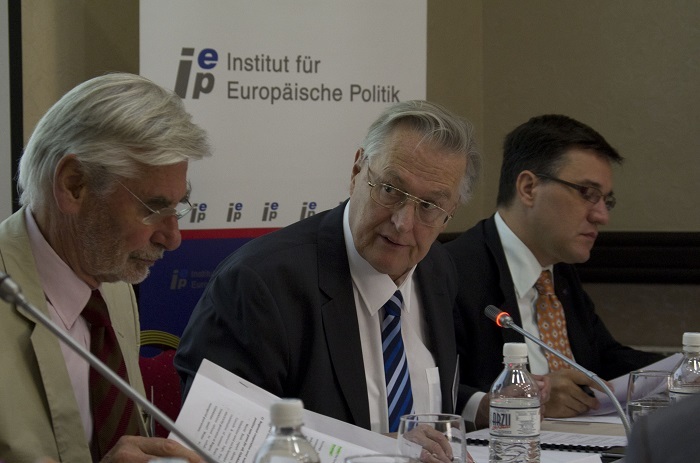 The event also profited from financial support of the Friedrich-Ebert-Stiftung. 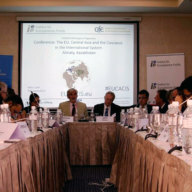 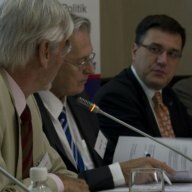 The conference has been attended by experts and contributors from Central Asia, the Southern Caucasus, Europe, China, India and Russia who discussed various aspects of the relations between the EU, Central Asia and the Caucasus as well as current developments and challenges in policy fields such as water, resources and trade, security and foreign policy. 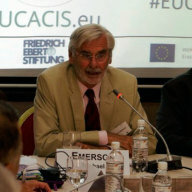 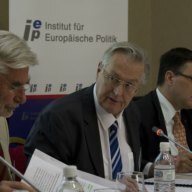 In his keynote speech, Dr. Michael Emerson Senior Research Fellow at the Centre for European Policy Studies (CEPS), illustrated areas of intra- and inter-regional cooperation and regionalization in fields such as transport or trade, but also a number of cleavages between the regions and single countries that emerge. 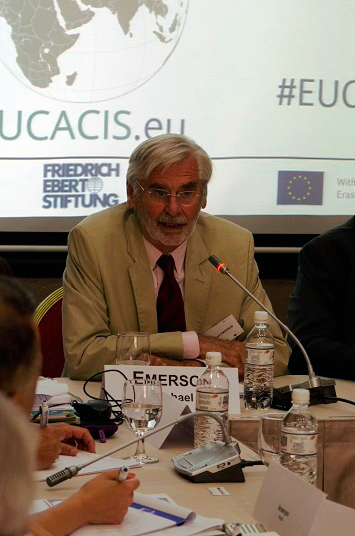 Prof. Dr Mirzokhid Rakhimov, Head of the Contemporary History and International Relations Department of the Institute of History at the Academy of Sciences of Uzbekistan, asked in his keynote speech about “The New Great Power Contest for Central Asia?”. 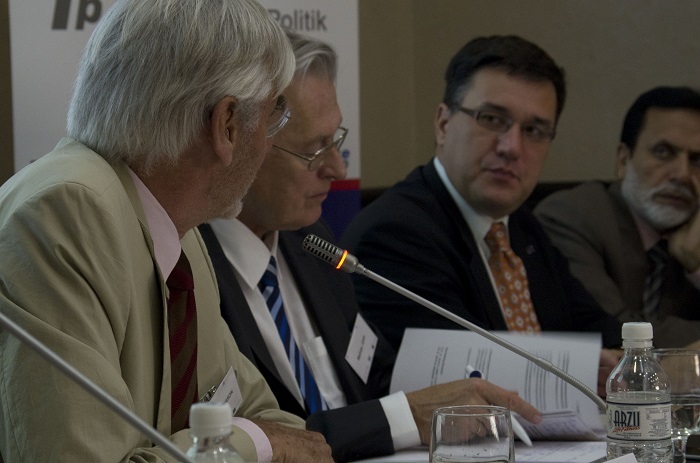 In subsequent panel discussions, experts examined foreign policy options of the Central Asian and South Caucasian states and attempts of regionalisation in both regions. 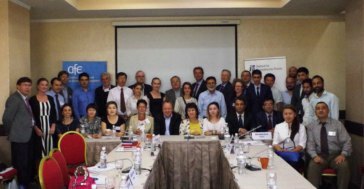 During a final selection process on the brink of the conference, the fellows of the PhD Support Programme were selected among the applicants from Afghanistan, Armenia, Azerbaijan, Georgia, Kazakhstan, Kyrgyzstan, Tajikistan, Turkmenistan, Uzbekistan as well as from the Chinese region of Xinjiang and the Indian region of Kashmir. 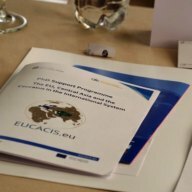 For the upcoming three years, the EUCACIS fellows will receive scholarships and academic support while writing their doctoral thesis. 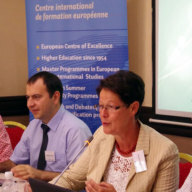 Please find further information about EUCACIS on the programme’s website: www.eucacis.eu.